Coming of age in the 50's and early 60's in Pittsburgh meant Eat 'n Park, Drive In Movies, Record Hops, and listening and singing along with the gang as Porkie Chadwick played Doo Wop on radio station WAMO. Porkie, the self described Daddio of the Raddio, Platter Pushin' Papa, Bossman, Pork the Tork, and a host of other colorful and affectionate nicknames, is a veteran radio presenter who was still seen around oldies record hops in Pittsburgh until his death in March 2014. Chedwick's original playlist was composed of old R and B and gospel records that he had collected over the years, making him the world's first bona fide oldies DJ. He called the records his dusty discs, since he would literally have to blow the dust off the 78s before he could preview them at the record stores. Chedwick is given credit by numerous R and B/rock and roll legends, including Bo Diddley, Smokey Robinson, Little Anthony and myriad others, for giving their recordings their first airplay. Porky Chedwick is responsible for making Pittsburgh, Pennsylvania The Oldies Capital of the World, and for making the city a testing ground for new R and B. Bizarre as it might seem today, what he did made a lot of white adults very, very nervous back early on, in a time when the idea of white teenagers enjoying the same R&B enjoyed by African-American kids was too much for some parents. Fears that Porky and his music were subverting their ideas and potentially corrupting their kids were real, at least for a while. Pittsburgh has had its share of musical greats over the years, but one thing is beyond question. Porky is one who made a difference, and left a lasting, permanent mark on this region's music and culture, and on the history of rock as we know it. Happily, in typical Pittsburgh fashion, his public still remembers. The name Doo Wop is given to a style of vocal-based rhythm and blues music that developed in African American communities in the 1940s and achieved mainstream popularity in the 1950s and early 1960s. It emerged from New York, Philadelphia, Chicago, Baltimore, Newark, Pittsburgh, Cincinnati and areas of greater Los Angeles including El Monte and Compton. Built upon vocal harmony, doo-wop was one of the most mainstream, pop-oriented R and B styles of the time. 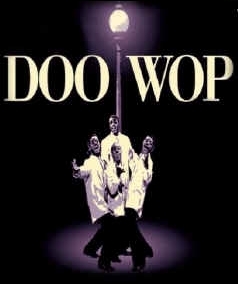 As a musical genre, Doo Wop is a type of vocal group harmony with the musical qualities of many vocal parts, nonsense syllables, a simple beat, little or no instrumentation, and simple music and lyrics. It is ensemble singing with single artists appearing with a backing group. Solo billing usually implies that the individual is more prominent in the musical arrangement. It's funny how music can take you back to a certain place and time - and how you get frozen in that specific era and genre. Listening to a song from your time and genre can bring back those long fogotten memories. Enjoy a sample of my memories from a long time ago. The Flamingo's I Only Have Eyes For You, Since I Don't Have You by the Skyliners (a Pittsburgh group), and Jerry Butler's For Your Precious Love are Doo Wop classics. Rochelle and the Candles' One Night with You is a personal favorite. For the generation of the 50's and early 60's - the Baby Boomers (me), this was the music that was playing in the front seat when we were playing in the back seat.